Source: Author/Audiovoxx – I received this in exchange for an honest review. I received no compensation. After two years of brutal captivity, Portia Lamont has escaped and returned to her family’s Vermont horse farm—only to find her parents gone to New York to try an experimental treatment for her mother’s cancer, and her childhood friend Boone Hawke running the farm. Like the rest of her family, Boone has never given up hope that Portia would return. But when she turns up battered, skinny as a twelve-year-old boy, afraid of everything and unable to talk about what happened, he does the only thing he can—try to help her heal. He summons the town doctor and Portia’s parents, and sets out to put this beautiful, broken woman back together again. Through her family’s love and Boone’s gentle affection, Portia gradually comes back to herself, and starts to fall for her old friend in a whole new way. But one thing threatens her fragile hope for recovery: The man who took her promised that if she ever escaped, he’d kill her. Slowly. And someone is definitely watching her…waiting to make his next deadly move. Devil’s Lake centers around a young woman who finally escapes being held captive by a man for two years, and takes us on a journey as she is forced to face what happened and try to move forward. Portia Lamont has returned home in a frenzy of panic, relief, and fear after being kidnapped and held captive for two years. She wants nothing more than to be close to her family and try to forget what happened to her, but it becomes evident that the past isn’t going to go away. Portia is strong and capable, and I think I respected her and the author more due to the fact that despite her strength she struggles with the physiological damage that was caused by her ordeal…because that’s what real people have to go through. She isn’t a robotic, paper thing, cut out of a character. She’s a woman who has to learn to find peace within herself, to protect herself and her family, and to move forward with her life. The book is split in to four parts, each one dealing with a different portion of the story and focusing mostly on a single aspect. Through these different lenses we get to see the much needed relief of returning home to a wonderful support system, the past in which Portia must face, and the healing and closure she and her family needs after the ordeal. It was great seeing Portia and her sister reconnect after a troubled childhood and for her to find support in her old friend Boone. 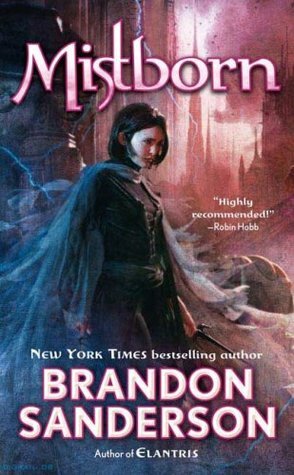 The narrator, Gwendolyn Druyer, is not my favorite but she does a good job handling the emotions and getting the right tone across. I really only had issues with the amount of variation in her treatment of character voices, there were times when I got a couple of characters confused, but it didn’t really detract from the story itself. I think that Lazar handled this story with a certain amount of grace that I appreciate. It’s so easy to lose sight of the human emotional and impact in books like this and go straight down the sensationalized thriller route. This is certainly an author I plan to check out some more in the future. Image | This entry was posted in Book Reviews (2016) and tagged 4 stars, audiobook, review, thriller. Bookmark the permalink.